German flag carrier Lufthansa and Dubai-based airline Etihad are negotiating the possibility of a merger, according to an article in Italian newspaper Il Messaggero published on the 17th January based on anonymous industry sources. According to Il Messaggero, chief executives of both airlines have been discussing the possible merger for the last couple of weeks. 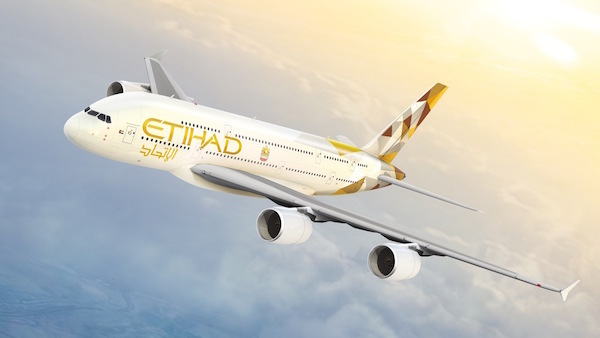 The rumored merger would first see Etihad acquiring a 30-40% stake in the German carrier by means of a capital increase reserved for the UAE airline. Following this, the carriers would merge creating an airline carrying almost 100 million passengers annually, according to the report by the Italian paper. Neither Etihad, nor Lufthansa have published an official statement regarding the report. In December 2016, Etihad Aviation Group’s board of directors has given green light to the establishment of a new European leisure airline. The new tourism-oriented carrier will be created jointly with TUI, a German travel company. The deal has already been approved by TUI’s supervisory board in November 2016.